As can be seen in the schematic representation in Fig. 1, the mold box is lifted up to the casting basin such that the stopper contacts the mold and the nozzle brick (Fig. 2) is flush with the mold surface. 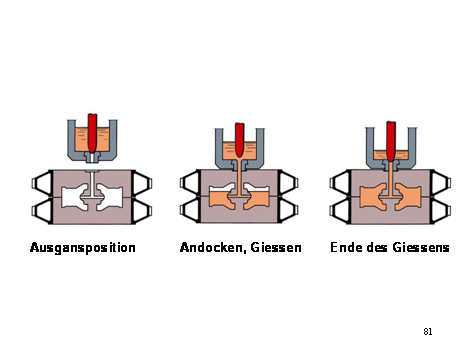 This is accomplished by applying a controlled force to then fill the mold by opening the stopper mechanism. 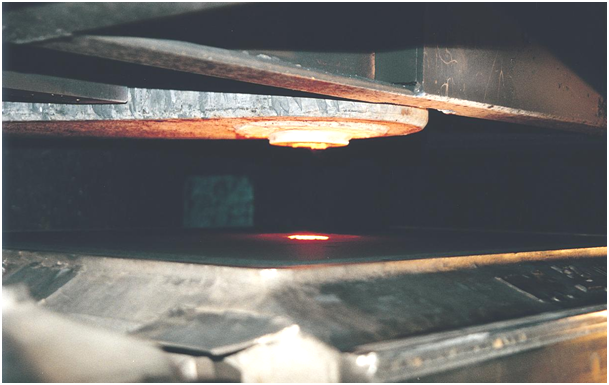 The casting process is controlled electronically in order to detect when the mold is filled and the casting process must be terminated. The mold and casting basin are separated immediately after casting. The benefit of this method is that no sprue is required, there is no spraying during casting and optimum filling of the mold is ensured. There can be no iron overflowing due to the casting not being stopped in time which means that the overall output is considerably improved compared to the conventional casting process.